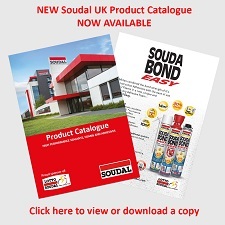 Soudal Ltd. does everything to guarantee your privacy and therefore handles personal data carefully. You visit our website completely anonymously. We collect analytical data, but these cannot be traced back to an individual person. We only collect your personal data if you have provided it voluntarily, for example for receiving our commercial communications or when filling out a form on our website. This Privacy Statement describes the purposes of data processing by Soudal Ltd. regarding this website and the way in which you can exercise your rights with regard to your personal data.